When you think about the odds of your child being born with a rare disease, you realize you should have spent your life playing the lottery. Odds are, you would have won. I have been an avid blog reader for at least 7 years. Parenting blogs, pregnancy blogs, children who suffer from cancer blogs, rare disease blogs, pretty much all types of blogs. I would follow these families journeys always thinking "I can't even imagine, I don't want to even imagine what it must be like." I can honestly say, I never thought it would happen to me. In all other situations I would be the first to say, "it can always happen to me". I've been petrified of leaving the kids in the car, of them drowning, secondary drowning, forgetting to buckle them, or having an illness regrettably go unnoticed, getting cancer. I have always tried to parent with the notion that I am not perfect and ANYTHING can happen. Sam and I had genetic testing done before we had children for every Jewish hereditary disease on the panel. There is a sense of relief when you think you can't pass on anything horrific to your children. But what about those genes not tested? What about those mutations that occur de novo, spontaneously? There are 7,000 rare diseases in the world. It is thought that 80% of all rare disease patients are affected by approximately 350 rare diseases. 30,000,000 in the U.S. Suffer from a rare disease. That is 1/10 people, a 10% chance. A rare disease is defined as an illness that effects less than 200,000 people in that rare disease group. 80% of that number are genetic. 50% are in children. 30% won't live to see their first birthday. 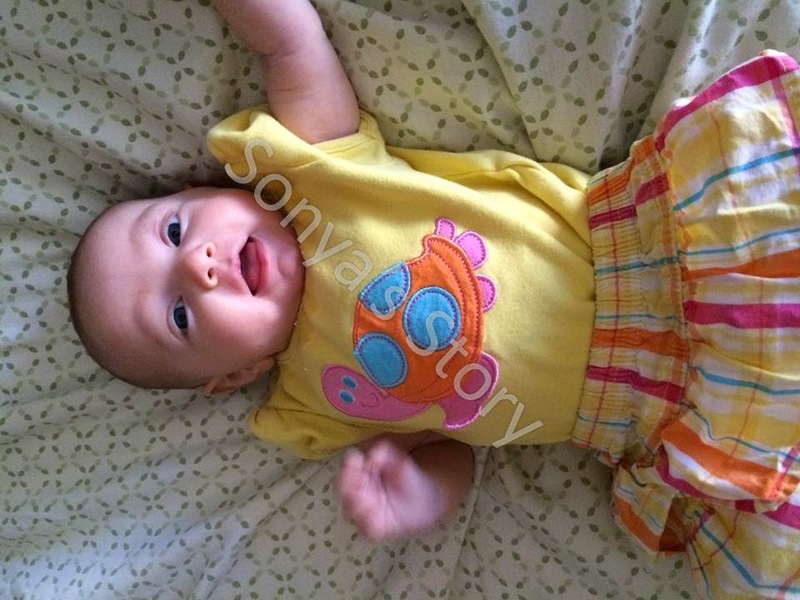 Sonya is one of approximately 600 children affected by CDKL5. The number slowly growing as more awareness is brought to CDKL5. If I had known that Sonya would have a CDKL5 gene mutation, I would have been playing every lottery in every state for the past 10 years. My odds of winning would have been higher. Like most women do, as soon as I found out I was pregnant I immediately went into protection mode. 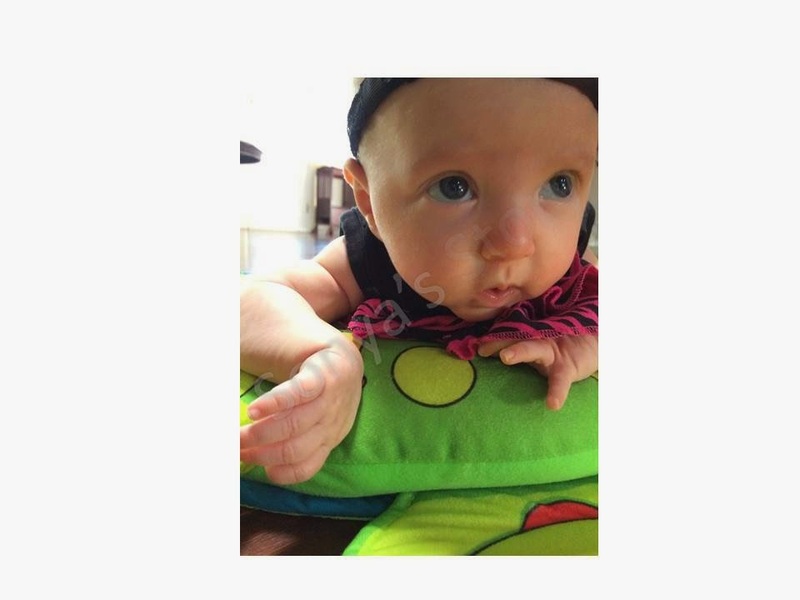 I did what I felt was best for this little being I was entrusted to carry for 9 months. I took my vitamins, ate mostly "healthy" foods, I thought about exercising (hey, that's more than I normally do). We decided what tests if any we would have throughout the pregnancy, if we would have ultrasounds, etc. 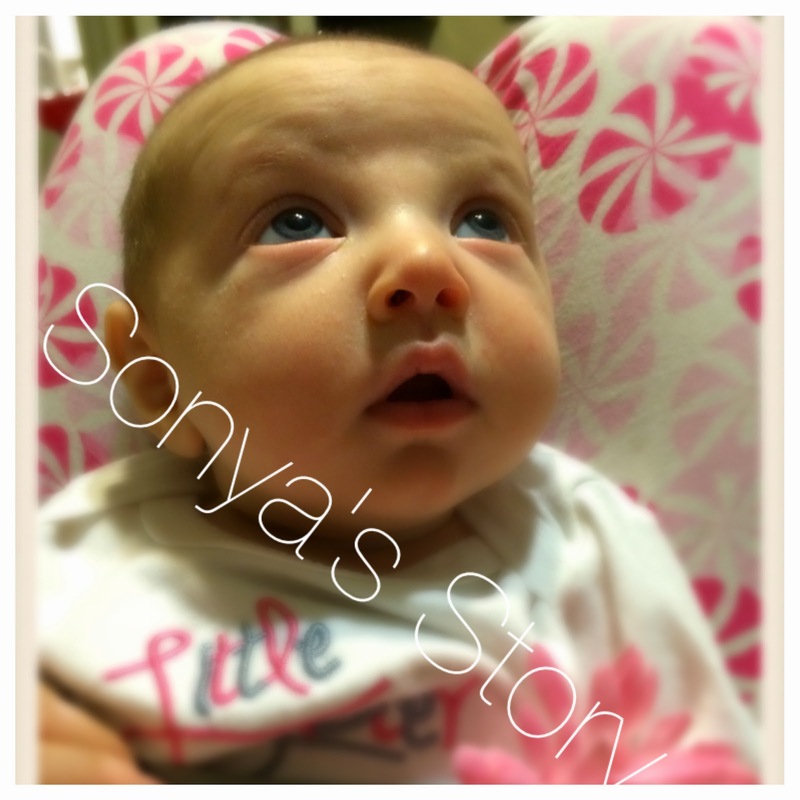 We began the lifelong process of doing what we felt was best for Sonya. Normally our decisions are the "typical" ones; yes to vaccinations, yes to antibiotics when necessary, yes to doctors....If I have a slightly different view point then the pediatrician, I don't feel the need to voice it, I just take his advice and move on. I don't like confrontation. I don't want to be difficult, so I just go with the flow, even if I am not 100% on board. Irritability...maybe some tiredness..." "Ok we said...it's what she needs." Then she needed a different medicine, "what are those side effects?"... "cognitive slowing...but it's rare..."..."okay, and the benefits still outweigh the odds?...so let's do it". I have felt pushed up against the wall, having panic attacks where I can't breathe. Sam and I don't really think it is worth it for Sonya to have all of these side effects when the fact is, she is never going to be seizure free from any of these cocktails. Realistically, the odds of her being seizure free after her "honeymoon" period are rare. That's the fact of CDKL5. It is ugly, there is no cure. It is the cause of refractory (uncontrollable) seizures. So, I am having a difficult time rationalizing that the benefits of some of these drugs we could see in her future outweigh the risks. I can tolerate her sleepiness, even her being cranky...but what benefit is there to blindness, early puberty, heart problems, stomach issues, or death?! To be the mom I need to be for Sonya, for all of my kids, I can't just cowar in the corner and "go with the flow". If I have an opinion that isn't in the majority, I need to say it. It is my obligation as a mom to be the voice for my kids. It isn't being "difficult" to say "you know what, I don't agree with these medicinal choices", it is actually having strength. In general. We wipe away their tears, give them boo-boo bunnies, and brush their teeth. We are the ones they rely on to make the best choices for them. We are our children's voice. Today was one of those days where I found myself at the bottom of the coaster. I was riding steady at the top last week, scheduling therapies, talking to insurance, talking to doctors, making appointments, getting all my ducks in a row. I felt accomplished, and I felt like I might actually be getting a handle on things. Fast forward to this morning. I woke up exhausted, not just physically, but mentally exhausted. With my hands high up in the air on this coaster, I started to go down...once you start going down, it can be a far drop before you hit the horizontal track. It is easy to get lost in the down. First it's a Monday, down I go; Sonya was up a decent amount last night, her three days of grouchiness since her shots was getting to me, her brother woke up sick, we have some differing opinions on medicinal options for Sonya then her doctors, I tallied up her weekly seizures and realized she had 15 in one week (normally I just do 24 hour times, so 2 a day doesn't sound bad), she is getting one of her med dosages bumped up, and I have to make three phone calls to a person to have one returned; the falling continued. When Sonya was first in the hospital, my mom came up with this great idea about making a "positive bank". Sonya is happy, "put that in the bank" she would say; Sonya is not so tired on her meds anymore, "put it in the bank". I was to take all the positives and hold onto them, this way when a tough time arose I could just reach into the "positive bank" and grab a thought. What a brilliant idea! (See mom, sometimes I listen :-)) The problem...I forgot about the bank. As I was talking to my mom today, telling her about my frustrations she basically told me it was okay to acknowledge them. She reiterated I was on a roller coaster, and unfortnately this was how life was going to be, and it's okay to feel the highs and lows. Then in that same conversation, I told her we received an email this morning from the CDKL5 clinic in Colorado, and Sonya has an appointment on July 8. I told her some other positives, and she said, "remember what I told you about the bank, put these in the bank Randi"...I then started to pull from the bank and just like that the coaster started to even itself out. The day continued with an absolutely AMAZING 3rd swim session. Sonya held her head up high, she actually interacted with herself in the mirror, she legit looked at herself and appeared to acknowledge her reflection for 1-2 seconds. She rested herself on the wall with minimal support. She enjoyed the water falling over her face. She didn't scream the entire time in the pool. We came home and she ate and is actually napping (Thank you G-d). All these items are now in the "positive bank". Every day on this journey is not going to be rainbows and butterflies, and it would be unfair to myself to not make this acknowledgement. I am realizing that it is okay to raise my hands and give in to the fall, sometimes it may be a short drop, other times I may feel like it is never ending...but it is extremely important to put all the positives in the bank, because those are going to be my silver lining. This was Sonya attempting a smile this morning! Super cute! The best picture we had at swim! 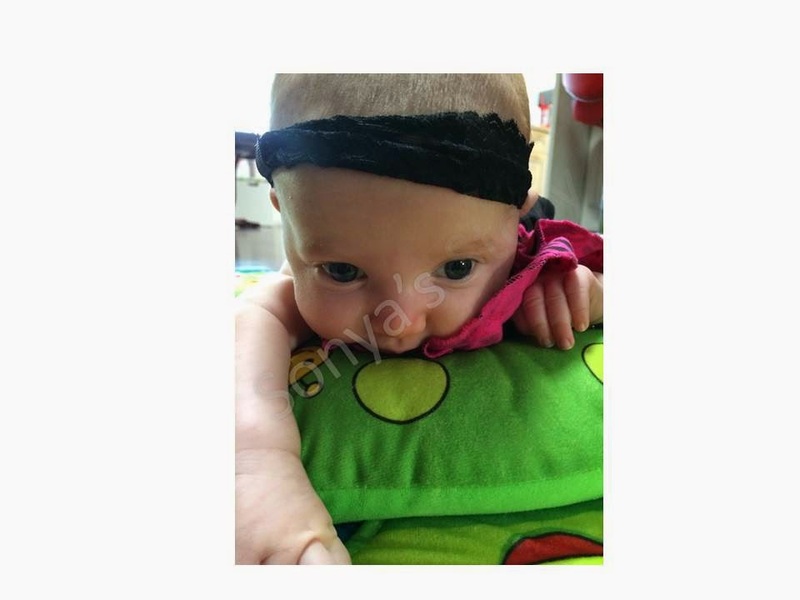 Not so happy, but AWESOME job holding her head up! Today Sonya had her second swim class. Since one of Sonya's older sisters swims on Sunday, Sam went into the water with her, so I went in the water again with Sonya. Today she was not as happy, and she cried a fair amount. As far as her working on her skills, she did a fantastic job! Sonya loves swishing back and forth during class. While floating on her back, I worked on holding her head at midline since she prefers to turn it to her left. Tomorrow we will touch base with Sonya's neurologist to let her know about her seizure activity over the past week. We are going to be heading back to PEMU (pediatric epilepsy monitoring unit) sometime within the next few weeks to get a better idea of what is occurring during her seizures (as far as type, and actual length). She also has swim tomorrow and Wednesday. Thursday we are scheduled to go to the geneticist. 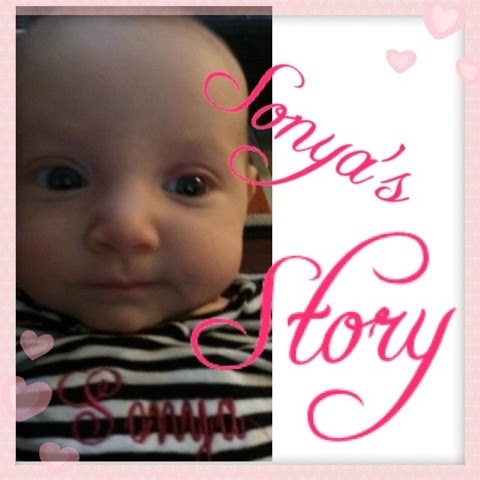 Hopefully we will learn more about Sonya's specific mutation and see if they offer any additional insight into her diagnosis. Almost 2 weeks behind schedule, but Sonya finally had her two month check-up. She was in the 50% across the board for height, weight, and head circumference. 10lbs 6oz, 22inches, and I think 15in for her head (I need to double check that stat). She is doing really well these days with her head control. 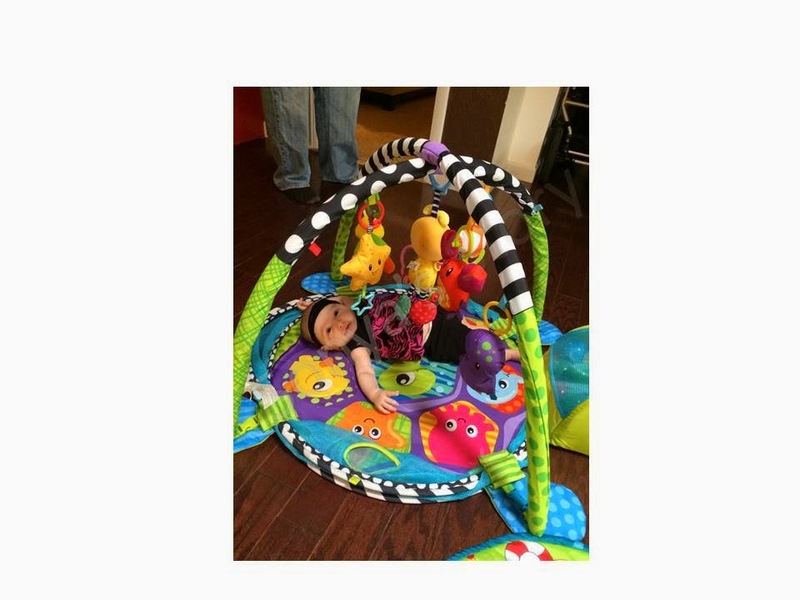 Her pediatrician said she appears on target for now developmentally! We will go back in a month so we can keep a close eye on her development. She is starting to smile in response to social interactions, however it is inconsistent. We do feel she is responding to our voices and she appears to get excited when we speak in a high pitch. As soon as she smiles for the camera, you will all get to see!!! She received her rotavirus, Hib 2, and Polio vaccines. We don't normally put vaccinations on a delayed schedule, but her awesome pediatrician felt it best to spread them out to limit the odds of her spiking a fever; since fevers can lower her seizure threshold. She will also not be receiving the dTap vaccine at this time, as the p (pertussis) portion of the vaccine should not be used in children who are having uncontrolled seizures. While Sonya is on medications, she unfortunately is continuing to have seizures (approximately 2-3 a day). In a month she will receive the remaining 2 month vaccines, and possibly receive the dTa portion of the dTap vaccine. "To bear all or part of the weight; to hold up"
The defintion that appears when you type the word "support" into the google search bar. The 7 letter word that has held Sam and I together over the past week since we learned of Sonya's diagnosis. There are truly no words that can describe how much appreciation we have for you all. You, the readers of this blog and you the followers of Sonya's journey on facebook. We have not had to think about making dinner, We have not had to cry alone. We have received emails, texts, facebook messages, and phone calls all asking what you all could do to help. Friends, family, people we barely know, or do not even know have reached out to their colleagues, friends, and families to get us in touch with doctors and facilities that might be able to give us more information regarding CDKL5. It is truly amazing, the team that has been formed to join us on this journey. We know we are not alone, and we feel it. Please know how much your words of encouragement, baked babkas and cookies (especially the babka and cookies) have meant to us over this past week. We thank you for everything. We expect every person to be able to get pregnant with no difficulties; we expect those pregnancies to be carried to full term, resulting in a healthy, beautiful baby screaming as they enter into the world. Throughout my pregnancies Sam has never wanted to know the gender of our children, and people undoubtedly asked "boy or girl? ", and I would say, "we don't know", and they would reply, "As long as the baby is healthy, that's all that matters." I would of course agree, but it always bothered me a little. We expect every baby to have all 10 fingers and 10 toes, to have all 4 limbs, to not have a blemish, we expect nothing short of perfection. As our children grow we expect them to behave, to listen, to be caring, to make good choices, to be nice, to eat healthy food, to simply be the best that they themselves can be. As a parent we set our standards for expectations high, beyond high, even unreasonably high in some cases. We dream of our children growing up and becoming whatever they want to be, (in most cases) we expect them to go to school, get jobs, get married, have kids, and live their lives to the fullest. There might be some people who want to "fix" Sonya, to make her brain function like the rest of ours. They would expect her to be just like her siblings. They have to wrap their head around the fact that she is not what they expected. They expected her to be the same as every other typically developing person. I have been thinking about this tonight. If Sonya had met these expectations, if she was "fixed", if she was like all our other kids, like all the other typically developing kids, then she wouldn't be Sonya. She wouldn't be who she came into this earth destined to be, who she needs to be for this world. She is actually exactly what g-d expected her to be. She is exactly what Sonya Ahava was expected to be. In a sense she is perfect. No one is 100% perfect. While her life would be significantly easier if she was not Sonya perfect, I still have my expectations for her. I still expect her to bring me joy, to live her life to the fullest, to be the best she can be. I know she will be a lot like her siblings, she will challenge me, she will make me laugh, she will make me cry, she will change my perspective on things, she will teach me more about my purpose in life. I expect her to make me better. But most of all, I expect her to just be herself. Sonya had her first swim class today. She loved the water. She spent 23 minutes extremely happy and cried for the last 7 minutes of class. She exceeded my expectations because I didn't think she would enjoy the water as much as she did. I do not have any pictures of her in the water, but she loved floating on her back, swooshing from side to side, having water poured on her, looking in the mirror, and pushing her feet off the wall. Overall today has been a day of positivity! Being a planner by nature, getting Sonya's therapies and appointments in order has lifted my spirit and attitude immensely! To start, we have an AMAZING swim school here in Phoenix where we have sent all of the kids since our oldest was 6 months old (Hubbard Swim School). 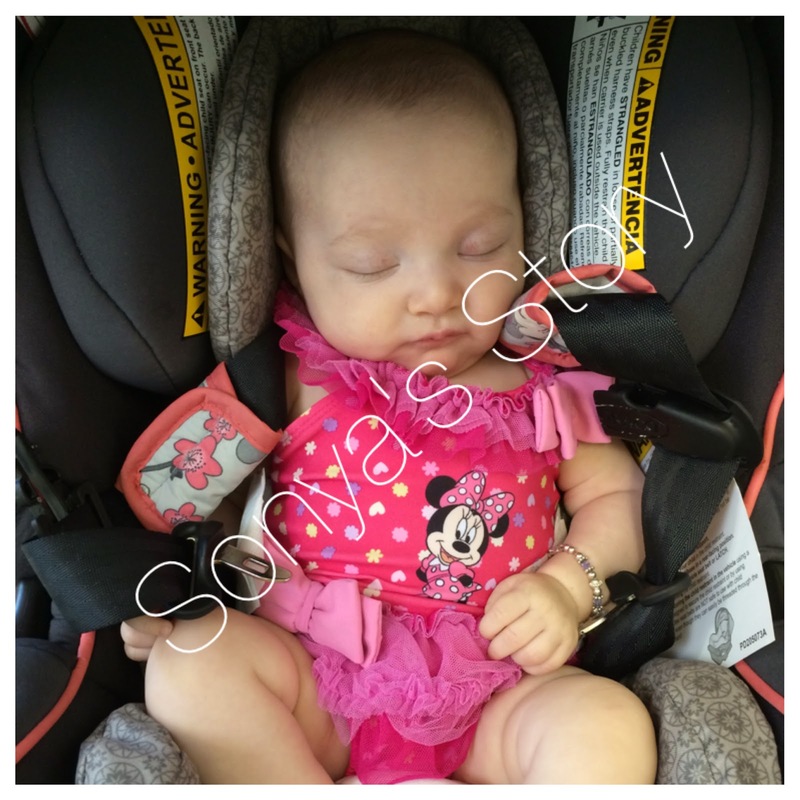 Sonya will be swimming 3 times a week in the baby splash class starting tomorrow! I am so excited to be getting her into the water and seeing what it does in the long run for her muscles and overall physical development :-). She has her first meeting with the AZ foundation for the Blind on Thursday, and I have heard amazing things about the programs they have. She will be starting vision therapy from them soon after our meet and greet. Today Sonya had her first eye appointment with an amazing doctor, Dr. G. He told us she is level 2 nearsighted. From what he read about CDKL5 and its effect on vision, he was pleased with Sonya's exam. He said she can see about 2 feet in front of her, and that is pretty typical for a child her age. All of her structures are intact, retinas looked good, and her eyes were dilating appropriately. It is hard to tell at this age what her visual impairment will be, but he says he has a lens to help for just about everything. We will go back in 6 months when her color receptors should be communicating and he will have more information for us. I know Sonya has a lot more to tell us and I am really excited to be on her journey as it unfolds! "For what reason or purpose?" How many times have you asked the question "why"? How many times has your toddler asked the question "why"? In this house the answer is 1000 (unless we are talking about a guy, because they never seem to ask that question ;-)). I happen to be a person of "why". 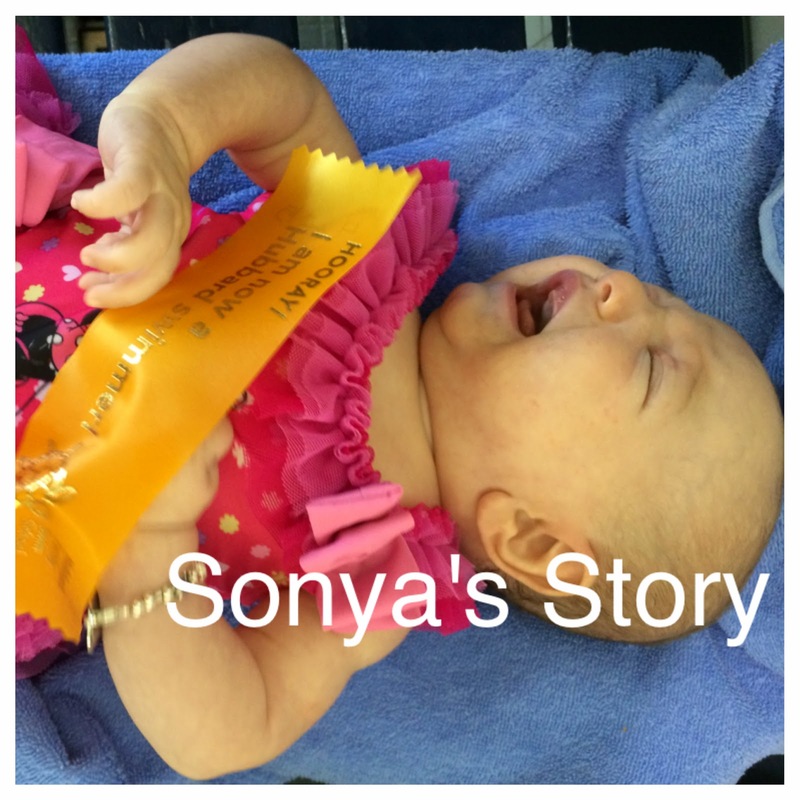 When we first learned of Sonya's diagnosis I wanted to have the answer to why. Why was she having seuzires? There has to be a reason, healthy babies do not have seizures. I thought that if we knew the why we could be more prepared, or we would be able to find a way to end her seizures. I thought I would be more at peace. 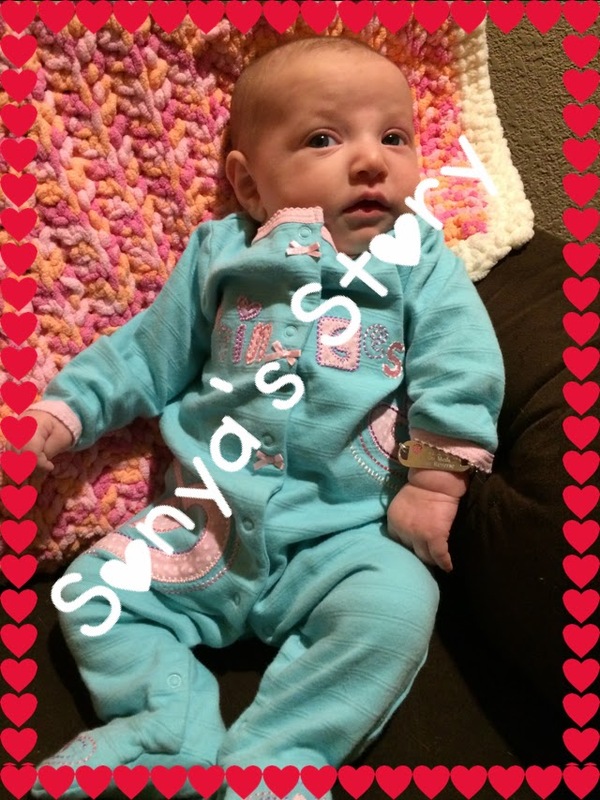 So we did every test imaginable, we allowed Sonya to have blood taken, to have her mouth swabbed, to send her down to her THIRD spinal tap in her short 5 weeks of life. As each test came back negative Sam had his hope that this would just go away. We had heard 1000000 times from family and friends that this friend had a child who had outgrown his/her seizures, this friends child was 4 and seizure free, this person was driving and had seizures, this person had seizures and now has 3 children....and the list went on. So why wouldn't that be Sonya's fate? Why wouldn't she outgrow the seizures at 16 months. With each negative test result, a slight glimmer of hope ensued. I actually found myself giving that hope some weight for 5 minutes out of a day, deep down not convinced, but willing to jump on board the cloud Sam was floating on. And then just as I jumped onto the cloud, we got an answer to our why. I have to say, it is important to be careful what you wish for. My phone rang on Wednesday with a 623 number, I answered. It isn't out of the ordinary for our awesome neurologist to return an email with a phone call, or to call herself to speak about Sonya's medication. Why would this phone call be any different then our others. Simple chit chat about a video I had sent that morning, an additional medication being added (even though we had just been to her office 28 hours ago), and then the words, "The hospital completed Sonya's genetic tests. While they didn't send out the panel that did the 400 genes that I wanted, they did complete the one that tested 71 genes, and I am sorry I did not have the information yesterday when you were in the office....one of the genes did come back positive, but I think it is best for you and Sam to come in together so we can go over the results in person. I do not want to tell you anything now, because you will go online and read things, and just because it is written does not mean it will be the outcome for Sonya. I know you like to read articles, so I have information for you. I know you both will have a lot of questions, so it is best to not do this over the phone." A million thoughts are running through my head, and I know this is not good. It is never good to be told you and your spouse should come together. Then she wanted me to wait a week. At this anyone who knows me knows I said..."Really, you want me to wait a week? "...let's shorten that part of the phone call to tell you we would be getting a call from her secretary letting us know what time we could meet her at her office in a different part of town on Thursday. While Sam spent that night googling the epilepsy genetic panel, I was in a silent state of peace...we would be getting our answers. My thoughts of her being delayed would be confirmed, my thoughts that she probably couldn't see would be confirmed....all of my questions would have an answer. We would have our why. After all, isn't this what I wanted? 2:30pm on Thursday, April 16. We waited only 5 minutes for her to come in the room. To tell us again they only tested 71 genes, to tell us Sonya's positive result was on CDKL5. 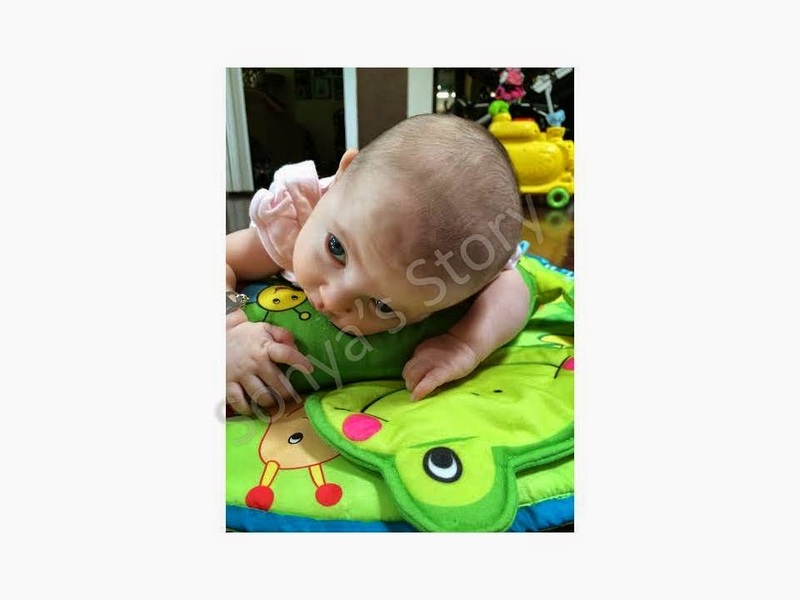 To tell us that with that positive result on this gene and her clinical presenation of seizures, she would most likely have: epileptic encephalopathy early infantile 2, x-linked infantile spasm syndrome, and or Atypical Retts Syndrome. Then I went online and typed in those 5 seemingly innocent letters, that in combination are no better off than a death sentence to a parent of a 2 month old baby. And it was at that moment that I realized, sometimes it is better to be blissfully ignorant...sometimes it is better to not have all the answers, to not know the why. Shortly after Sonya was born I had feeling something was not right. I couldn't put my finger on it, but things were off. 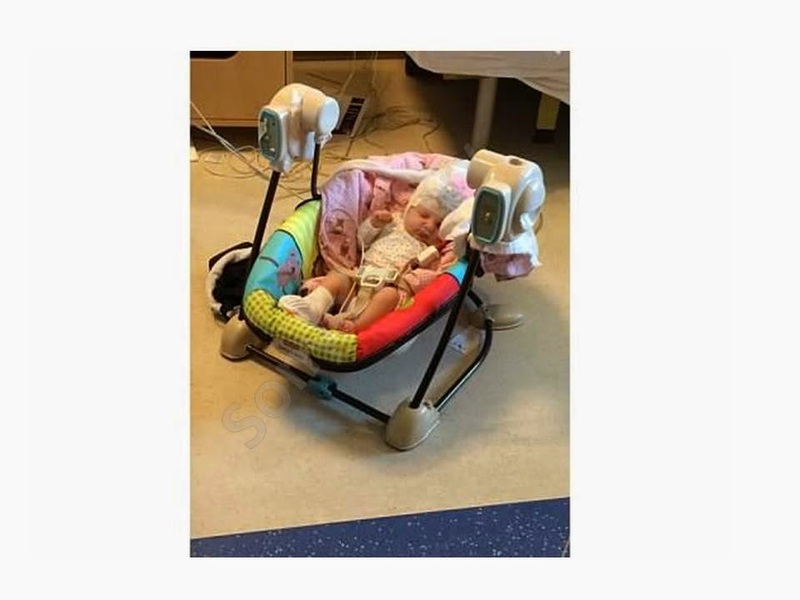 It started with her showing signs of difficulty breathing, which after much persistance she finally got a good nurse who actually did more than just look at her and she was taken to the NICU to receive oxygen. She did so well, they took her off by that night, but due to her blood work results, she was started on IV antibiotics to fight any potential illness. She stayed in the NICU for a week and then our little warrior was home. Getting back into a routine with 4 kiddos under 5 was a bit challenging for me, especially since I was off my game with the extended NICU stay, but we finally were getting our feet grounded when the unexpected occured. As I sat on the couch on a Saturday night, after she fed and was resting on the boppy, I felt a leg twitch. I looked at her, picked her up, saw her eyes and the lights were on but no one was home, after a couple of seconds she began to cry. Sonya had more to tell us.